This post is kindly brought to you by Beauty Heroes, who compensated me for this sponsored post. All opinions are my own! What’s different? Well, besides containing some of the most-coveted healthy beauty brands on the market today, the Beauty Heroes box delivers a full size “hero” product (for skin, body, sun or hair) as well as a fun, sample size “sidekick” product from the same line. This means that green beauty junkies and clean-curious converts alike get a chance each month to slow down and fully experience the goodness of some of the most sought-after healthy beauty brands each month. Been curious about Josh Rosebrook’s haircare? If you got the November Beauty Heroes box, you got to experience the new full size Balance Shampoo and Conditioner plus the sidekick Hairspray. Wondering about the whole 4-2-4 cleansing method? I shrieked with delight when I opened my October Beauty Heroes box to find the full size In Fiore Treat Gentle Cleansing Emulsion and Lustra Illuminating Cleansing Essence. Thinking about trying Kahina Giving Beauty, but don’t know where to start? The September Beauty Heroes box included the often-raved about Eye Serum as well as the lightweight Facial Lotion. Yes, I know I am an anomaly here. But stick with me. When I got my October box and saw In Fiore, a line I’d seen before but had never tried, I truly “got” what it meant to have a Beauty Heroes subscription. What an amazing surprise to see that, in a $39 subscription box, I got products valued at nearly $100 to thoroughly test before deciding whether I wanted to repurchase. In Fiore is one of those lines that has sort of a cult status. To me, it’s been difficult to find a lot of in-depth reviews on the line. That means I’m less likely (and you probably are, too) to take the plunge on a purchase. And where I live, there aren’t places I can go to for sampling in person. That’s the problem Beauty Heroes solves. But, what if my Beauty Heroes products of the month just don’t do it for me? Beauty Heroes addresses that problem, too. If a customer doesn’t love a product, Beauty Heroes refunds the purchase. Jeannie tells me that she gets maybe one customer a month who emails her about a product not working out. That number is so low because Beauty Heroes works with each brand’s top-selling product, so it’s usually something that the brand knows to be one of its best. In addition, Beauty Heroes documents client concerns and allergies. Before the monthly renewal, emails customers that have a concern that relates to the upcoming product so they can skip a month if necessary. The attention to trends, efficacy and client detail is absolutely superb and why I’m excited to share more about Beauty Heroes with you. This is a subscription box that I’d recommend to anyone who’s after the latest and greatest in natural skincare, but who wants to take time truly testing and experiencing a product and brand. If you choose to give the gift of Beauty Heroes, all you need is the recipient’s email address — it’s that easy! You can also include a personal message and set the exact date you want the recipient to receive their gift email. 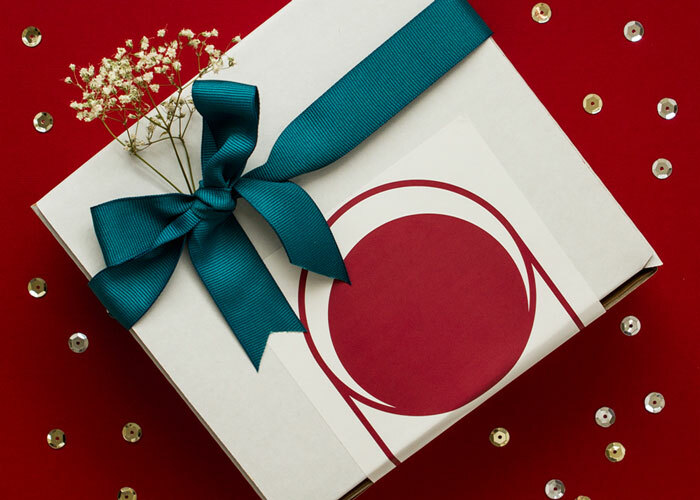 And … inside scoop … if you’re giving a subscription to a facial serum addict who must have the best of the best this holiday season, you’re going to want to sign her up for the December Beauty Heroes box. It’s one of the most-talked about facial serums of the year, and its Beauty Heroes release is probably going to break the green beauty Internet. And flood your Instagram feed. Get in on it! I’m excited to see what’s in store for Beauty Heroes in 2016. This is a subscription box with a truly intriguing business plan behind it — from the fun superhero branding, stellar pricing and thoughtful brand and product curation. Have you gotten your subscription? What do you think of it? What are you gifting for the holidays this year? In the words of Jeannie and Beauty Heroes — Hero On!